Whether you believe climate change is real or not, our planet is warming up and 2017 saw a record number of wildfires ravage the West Coast of North America. The effects on humans, wildlife and fauna were of course far more serious than our need to build beautiful new decks, but as many communities continue to rebuild from the ashes, there are some challenges that face some ‘future-thinkers’ as they plan which products to use to get the best performance and value for money. North America relies heavily on lumber as a sustainable and renewable building material, and with many logging and milling facilities closed for long periods of the summer, wildfires have had a knock-on effect on a supply and demand lumber industry. With consistent and ongoing increases in the cost of traditional building materials like Western Red Cedar and Redwood, in comparison, wood alternatives have actually stabilized in price over the last 24 months and now represent better value than ever. *Estimated 10-year total cost comparison, based on a 320 sq. ft. deck (does not include railing, lighting, fasteners or accessories). Costs based on National Average (USD). Whilst it’s certainly true that a PVC or Composite deck costs more than a Cedar deck, year after year, more and more people are recognizing that they can offset this higher cost over the much longer lifespan of a wood alternative. Furthermore, the low-maintenance advantages, mean they can also spend less money on maintenance and repairs. Perhaps more importantly, with a wood alternative, more time can be spent enjoying outdoor living spaces, rather than carrying out repairs or refinishing ugly, weathered wood. 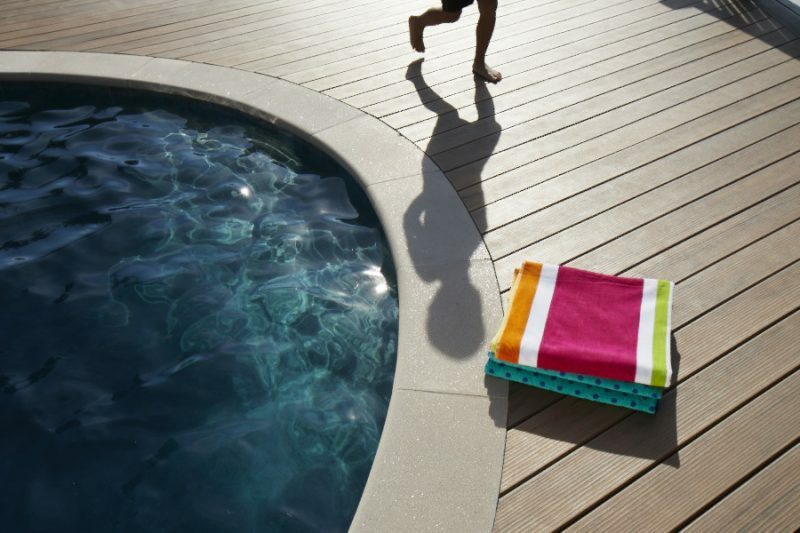 Finally – a benefit that only some dense hardwoods like Ipe can offer, some PVC Decking such as AZEK actually has a Class A Flame Spread rating. With built-in mould resistance, a wide variety of wood-like colours to choose from, as well as surface textures that improve traction, the advantages to building with a wood alternatives are clear. AZEK Deck boards can also be used as cladding for exterior walls, meaning you can enjoy the same performance benefits and long-lasting beauty, right around your home.